In UERRA there are General Assemblies (GAs), Workshops and other specialized meetings. 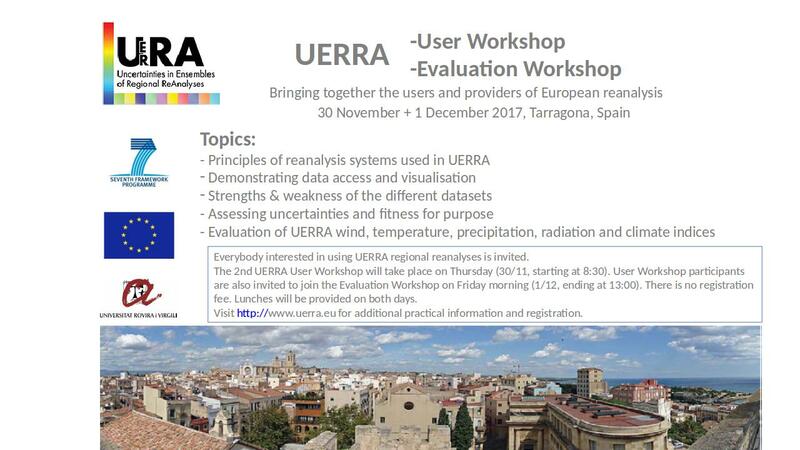 The two final Workshops in UERRA were held in Tarragona, Catalonia, Spain, on the Thursday 30 November and Friday morning, 1 December 2017. 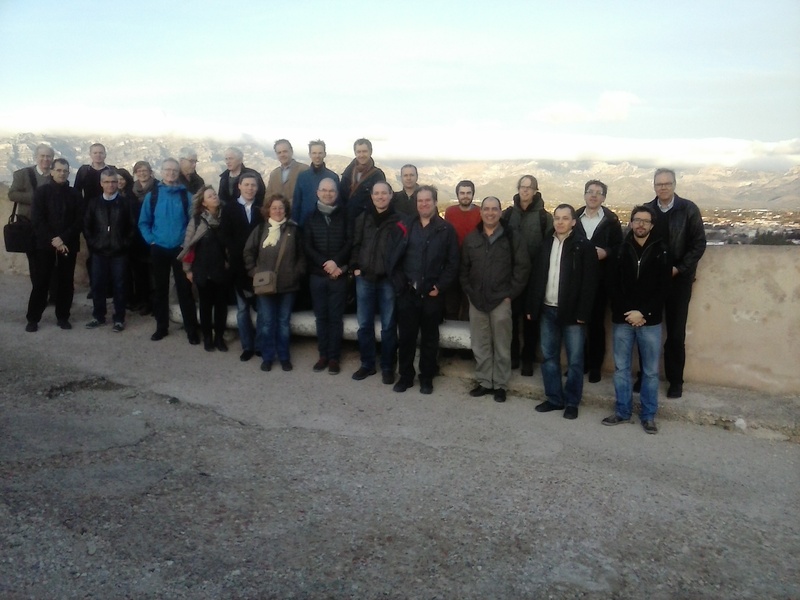 They were the the concluding 2nd User Workshop in UERRA and the UERRA Evaluation Workshop, respectively. For details about the programme and Presentations, see below. They followed the UERRA 5th General Assembly which was held the two days prior to the Workshops. 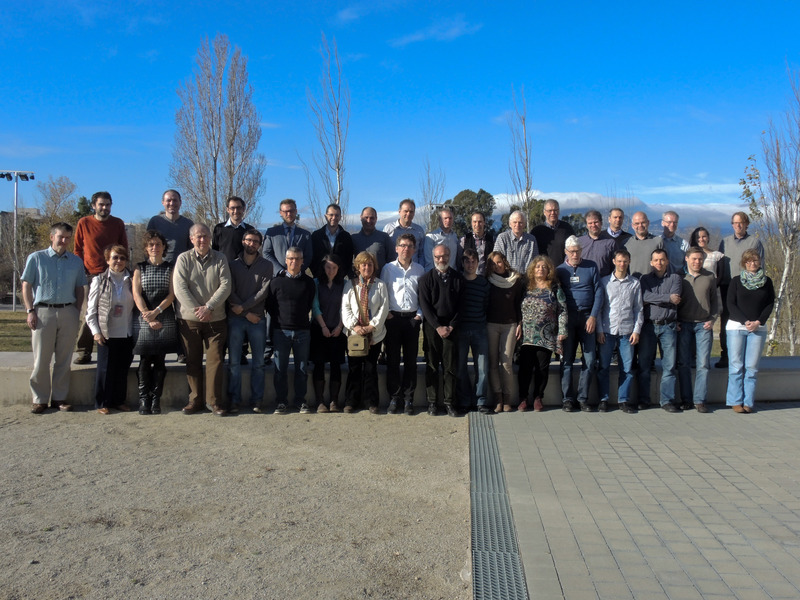 The final UERRA General Assembly was held Tuesday 28 November - Wednesday 29 November in Tarragona, Catalonia, Spain, at the premises of URV. For details of the Programme and the Presentations, see below. The Agenda contains links to the presentation files. The Agenda can also be found in Word doc format. Two final Workshops followed GA, on the Thursday 30 November and Friday morning 1 December. They are the 2nd User Workshop and the UERRA Evaluation Workshop, respectively. More details will follow. Please see more in the article.